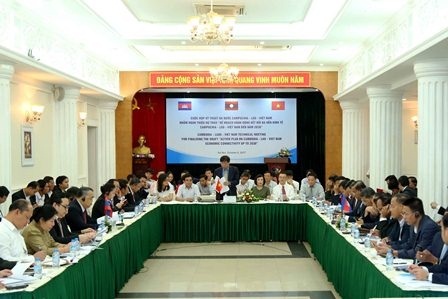 On 20 July 2015, the Ministry of Planning and Investment organized the seminar on summary report "Vietnam 2035 ", chaired by Minister Bui Quang Vinh. 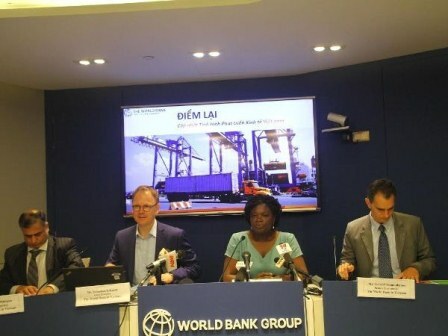 Participated and discussed at the seminar were Ms. Victoria Kwakwa, Country Director of World Bank (WB) in Vietnam, economic experts of the WB, Development Strategy Institute representatives, Institute for Economic Management Central representatives, and Editorial team of the Report "Vietnam 2035", etc. Mr. Sandeep Mahajan, Chief Economist of the WB in Vietnam has presented the thematic report, in which he proposed objectives and aspirations of Vietnam, gave development guidelines, challenges and solutions for Vietnam to achieve development goals by 2035, i.e. GDP per capita at $15,000 (in PPP 2005), agriculture's share of less than 10% of GDP and less than 25% of total employment, etc. 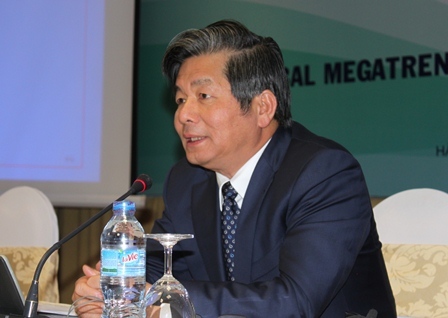 From the analysis and comparing Vietnam's economy with regional countries and the world, the report by Mr. Sandeep Mahajan pointed a series of "bottlenecks" in the socio-economic development in Vietnam such as poor labor productivity, poor innovation and creativity system, and inadequate urbanization process, etc. 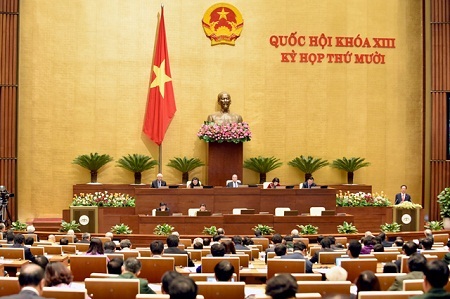 According to the report, labour efficiency in state sector and private sector of Vietnam is lower and far behind other countries in the region. One of the causes is the key economic sectors of Vietnam such as banking, real estate, construction, which account for over 30% of the capital, operate very inefficiently. For example, labor productivity in the banking sector is Zero. Most Vietnamese private enterprises are on small scale (over 80 % of these enterprises employ less than 50 people), which has troubles in access to input factors for production such as capital or land use. Poor innovation capacity is also a congestion in Vietnam's development, especially in the private sector. In this sector, small and households businesses dominate, so it is very difficult for this sector to collaborate in research, innovation and creativity. A major problem of urbanization in Vietnam is land urbanization. Around mega-cities like Hanoi and Ho Chi Minh City, there are no sattlelite towns that specializes in different fields. This will hinder the urbanization and development process in Vietnam (as what happened in Thailand). 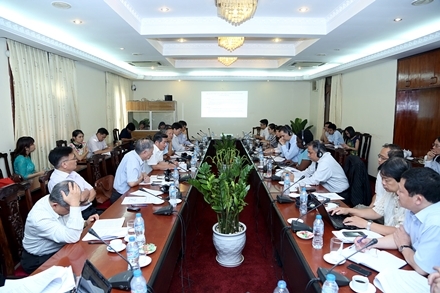 The researchers also proposed recommendations and solutions to help Vietnam solve the development "bottlenecks". Accordingly, productivity in the private sector should be immediately raised through increased market institutions, with reform measures such as ownership of property, competition policies, budget management, central banks, and facilitating enterprises to join global value chain, etc. 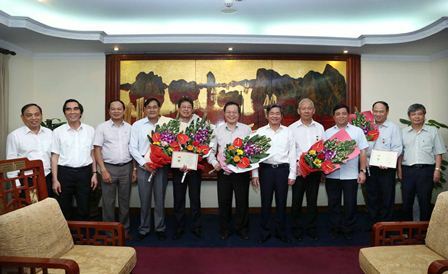 At the same time, the innovation system in Vietnam should be improved. An innovation system driven by needs should be built. Institutional policies should be prioritized. Infrastructure should be developed to overcome the limitations of urbanization. Besides the discussed issues, the seminar has also received many helpful comments from Vietnamese and WB experts. 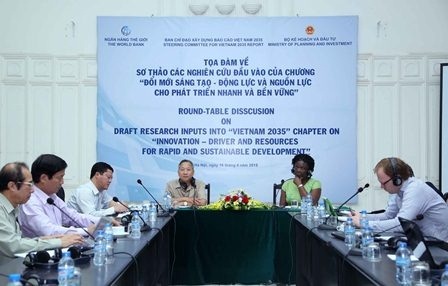 To conclude the seminar, Minister Bui Quang Vinh stressed, the researchers and report editors should spend all efforts to build the "Vietnam 2035" report , as the essence of wisdom and science, which practically contributes to planning and implementing national development goals in coming decades.